Legos provide hours of fun and entertainment to kids and adults alike every day. People love to engage their imaginations as they create items from their favorite movies or make a lifelike scene their minifigures can play in. 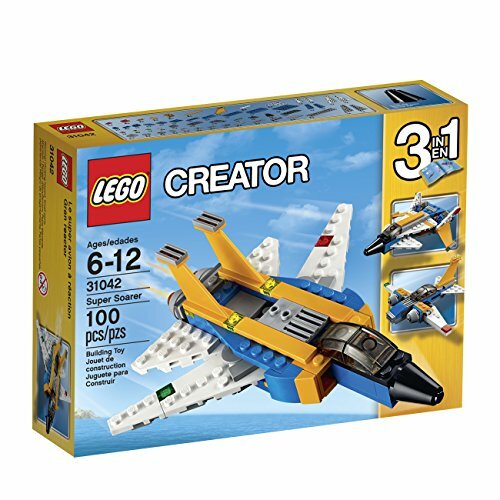 One type of Lego set available is the Creator series. Creator sets are unique because many of them are designed as 3-in-1 sets, giving you a lot of room for creativity. 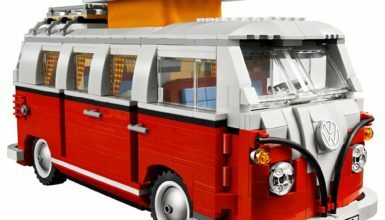 They aren’t just for kids either, as Lego have created a whole range of Lego Sets for Adults too. 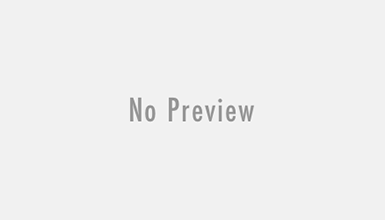 In this guide, we’re going to concentrate on Lego Creator Sets that crossover between kids and adults which are equally good for both age ranges. The Space Shuttle Explorer allows you to discover new horizons. This Lego Creator 3-in-1 set lets you take a shuttle to space, play on a moon station, or ride a space rover on unexplored planets. The color scheme is completely authentic, featuring black, gray, and white. The space shuttle build includes a satellite with fold-out wings, a payload bay that has a robotic arm, and cockpit your favorite minifigures can fit in. 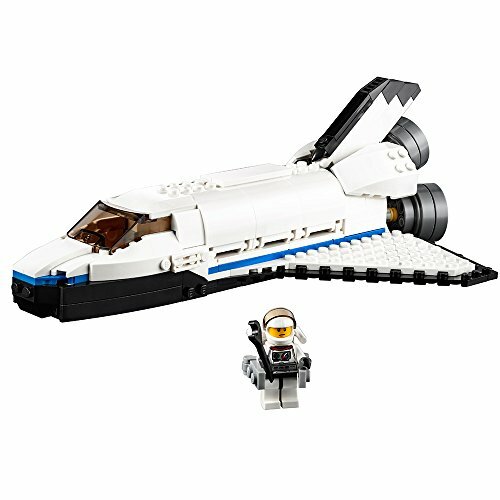 This is a great set for the child who is interested in space, or for the adult who always wanted to be an astronaut. 3-in-1 Set: You can build a space shuttle, moon station, or a space rover. Little sparks the imagination as well as a dinosaur. 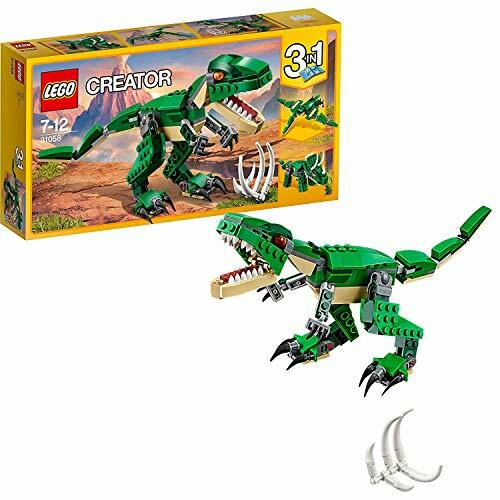 This Lego Creator 3-in-1 set allows you to build the awesome T-Rex, Terrific Triceratops, and the fabulous Pterodactyl. This set also includes prey for the dinosaurs in the form of a buildable rib cage. The T-Rex build has a mouth with pointy teeth that opens and closes. The joints and head are all posable. With all the posable options, your T. Rex build can stomp down the streets and instill fear in your collection of minifugres! The Triceratops has posable legs, tale, and head. The Pterodactyl can also move its wings and head. This set is sure to provide hours of fun with any dinosaur lover! 3-in-1 Set: You can build a T-Rex, Triceratops or a Pterodactyl. Pterodactyl: Over 1” high, 7” long and 9” wide. Most of us can only dream of owning a classic Ferrari F40. With this Lego set, you can bring one home and build it yourself! 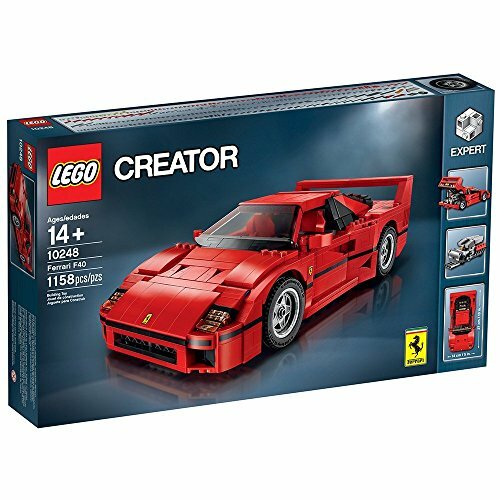 This is a wonderful F40 replica that includes the distinctive rear spoiler, pop-up headlights, a rear hatch that can open up, doors that open, and an amazing replica of the twin-turbocharged 90-degree V8 engine. The interior of the build has 3 matching red racing seats, as well as a compartment for luggage and tools. The door handles mimic the famed cabled door handles of the original F40. This is a great Lego build for the model car lover! Includes pop-up headlights, an authentic spoiler, twin turbocharged V8 engine, and opening rear hatch and doors. The Palace Cinema stands out with its amazing attention to detail. A limousine is included so the star of the show can show up in style. The Marquis sign announces the movie playing; “Three Clicks and a Snap”. Other posters advertise future films. Your minifigures can gather on the sidewalk of the stars. In the lobby, there is a ticket area and a concession stand that the movie attendees can enjoy. The Palace Cinema is a two-story building. A grand staircase leads you to the theater which has a lard screen and movie projector set up. The chairs recline, and there are enough for all six minifigures. The rooftop of the cinema is also highly decorated. There are rooftop decorations and spires that are simply beautiful. This set is ideal for the mature builder who loves seeing a project come to fruition. 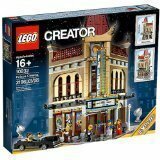 Lego Modular Building Set: Compatible with all of the modular sets to create a town look. Palace Cinema: 15″ high, 10″ wide and 10″ deep. This set is all about a futuristic flying world. The main build is a dark yellow, blue, and white super soarer. The super soarer features two vertical stabilizers, large air intakes, navigation lights, a tinted cockpit, 2 engines, and movable wings. In addition to the super soarer build, you can build an airplane or futuristic jet. Every build has wings that are movable, so they can be in a parked position, or be moved to be ready for takeoff! While this is a smaller set, it offers a lot of variability and tons of fun! 3-in-1 Set: You can build a super soarer, futuristic jet, and an airplane. Includes tinted cockpit, dual engines, and more. Super Soarer: Over 1” high, 6” long, and 6” wide. Futuristic Jet: Over 1” high, 5” long and 4” wide. Airplane: Over 1” high, 4” long and 5” wide. What could be more fun than a colorful parrot Lego build? 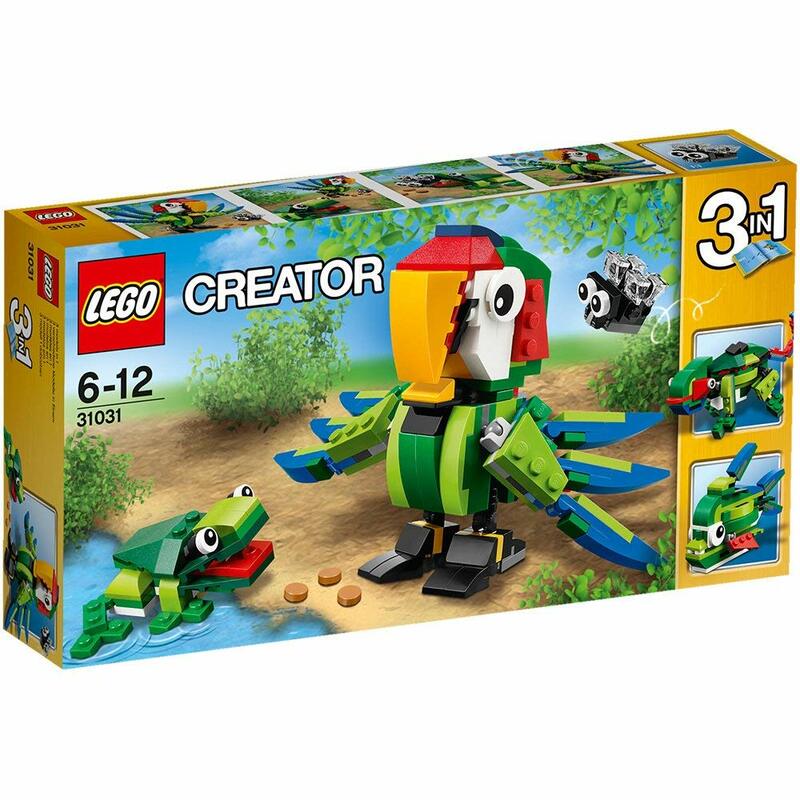 A 3-in-1 set that also lets you build a chameleon or a tropical fish! In addition, this set includes a frog build with a fly for the frog to munch on. The parrot is beautiful with all its colors, which include green, red, blue, and yellow. It’s wings and tale or movable, the mouth can open, and the eyes rotate. Small Lego pieces are included to use as seeds to feed the parrot. The frog has movable feet and mouth, so that fly better watch out! This is a super fun set for all ages! 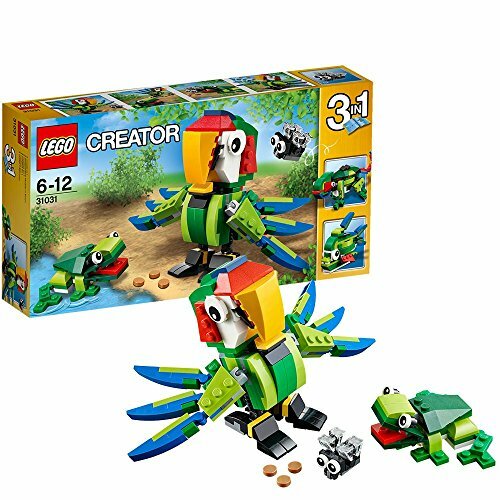 3-in-1 Set: You can build a parrot, chameleon, or a tropical fish. Includes a frog and fly. Trains are a favorite toy of kids and still hold their fascination for many adults. 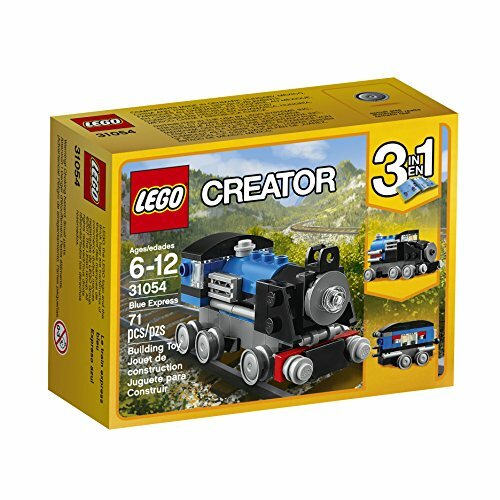 This lovely 3-in-1 Creator set allows you to build the Blue Express, a Carriage, and a Fast Train. 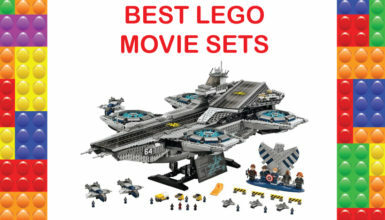 This set can be combined with sets 31055 and 31060 for even more fun! The Blue Express has a blue, black, and grey coloring. It is a classic looking tank engine that has two buffers, six wheels, and a front light. The Fast Train build has a more modernized passenger train look. The Carriage build is enclosed but has clear windows so you can see in it. Train lovers everywhere will love this set! 3-in-1 Set: You can build a Blue Express, Carriage, or Fast Train. Can be combined with sets 31055 and 31060 for extended play. Carriage: Over 1” high, 3” long and 1” wide. Fast Train: Over 1” high, 2” long and 1” wide. 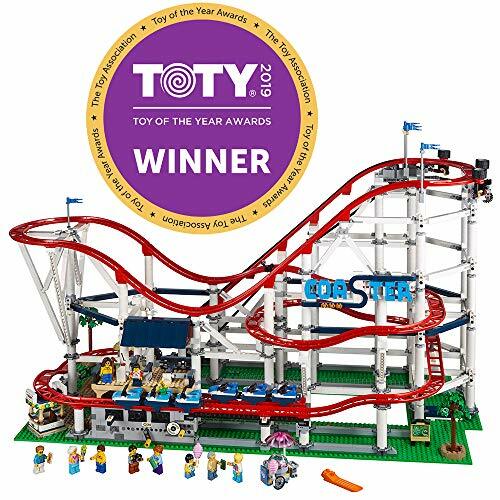 This Roller Coaster Creator Expert set is great for those who have a need for speed. 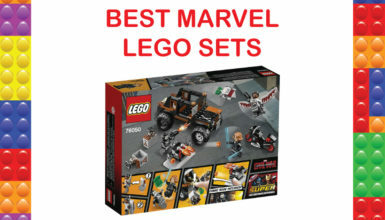 It is such an amazing set, it won Toy of the Year reward in 2019! This model is completely functional with a chain lift. The set includes two trains with four cars each. The cars have lap bars you can lower before your minifigures take an amazing ride. Lego Power Functions are available to purchase separately and adds more movement as well as sound effects. Like any good carnival, there needs to be more than just a roller coaster. This set has a ticket booth, concession stand, covered boarding station, control panel, and more. There is a total of eleven minifigures, which include a cotton candy vendor, 2 grandparents escorting their grandchildren, 2 ride attendants, and an additional five riders. There are eight minifigures whose heads can be reversed for different facial looks. It is an advanced set, so will take some time to build, but the end result is completely worth it! Includes a total of 11 minifigures. Roller Coaster: 20” high, 34” wide and 16” deep. 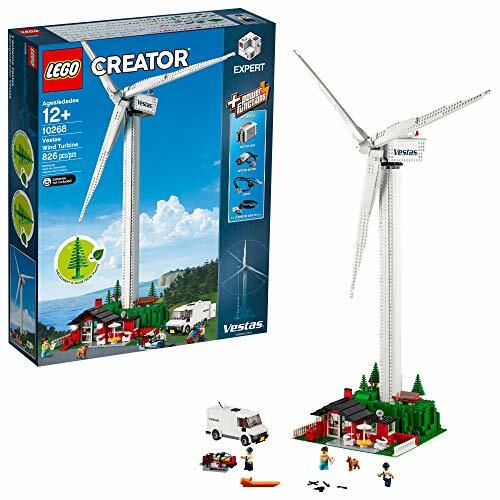 Your Lego world can run on green energy with this wind turbine build! This set is a great way to spark an interest in sustainable energy practices. This set is so committed to being green, this is one of the first sets to have a tree piece made from plant-based sustainable plastic. This is a motorized set and can turn right or left with the Power Functions switch. This also illuminates the porch light on the cottage. The cottage is on a wooded hill and has a patio with furnishings, a white picket fence, a mailbox, and flowers. There is also a Vestas service vehicle included with this set. There are three minifigures in this set. They are two Vestas service technicians and a woman. There is a dog figure included as well. This set is a perfect way to explore renewable energies! Includes 3 minifigures and a dog figure. Wind Turbine: 39” high, 24” wide and 12” deep. 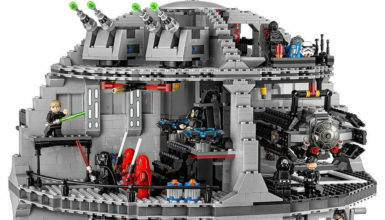 Lego Creator sets are made to truly spur the imagination. Whether you are buying for your kid, yourself, or someone else, Legos have a universal appeal across all ages. There is something for everyone in the Creator series. Which one will you be getting?